Caseman, Inc. has been an authorized dealer for the finest product lines in the shipping case industry for over twenty years. 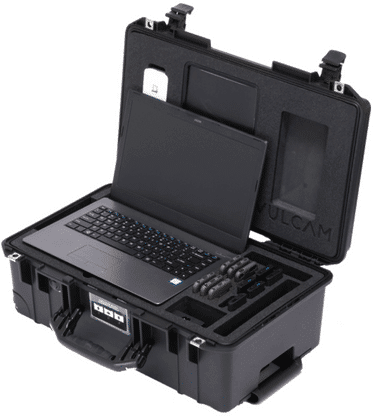 We carry rugged, watertight quality cases and create custom fitted foam interiors for any product that needs to be protected while in transit. Caseman, Inc.’s corporate office is located in San Diego, California . Our industrial and military clients require us to be on top of the latest technologies and products and we are happy to oblige. As a family operated business, our company was founded on the desire to make case buying easy. We enjoy being one of the first companies in our field to offer online services. Unlike most other authorized case dealers, we expanded our services years ago to include in-house custom foam fabricating and ongoing product support. For examples of our work, please check out our Gallery. Almost every product we sell may contain chemicals known by the state of California to cause cancer, birth defects or other reproductive harm. We are unable to test all of the products that we sell for the 900+ chemicals listed in the California Safe Drinking Water and Toxic Enforcement Act of 1986 (Prop 65), therefore we are unable to 100% certify that every product is 100% safe.